Summary: Millions of them may live in the oceans, growing to a length of 40 feet or more, yet very little is known of the giant squid. Scientists first saw a living one in 2006. Much of what is known about these creatures comes from studying their remains inside sperm whales, whose stomachs can contain thousands of the indigestible squid beaks. 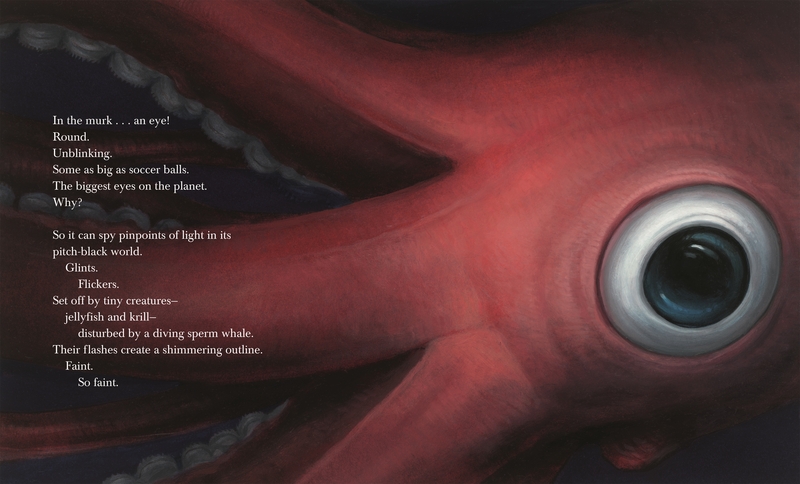 The poetic text of this book tells what little is known of the giants, illustrated with dark undersea paintings that show glimpses of different parts of them. The final two-page spread is a labeled drawing of the squid’s body. 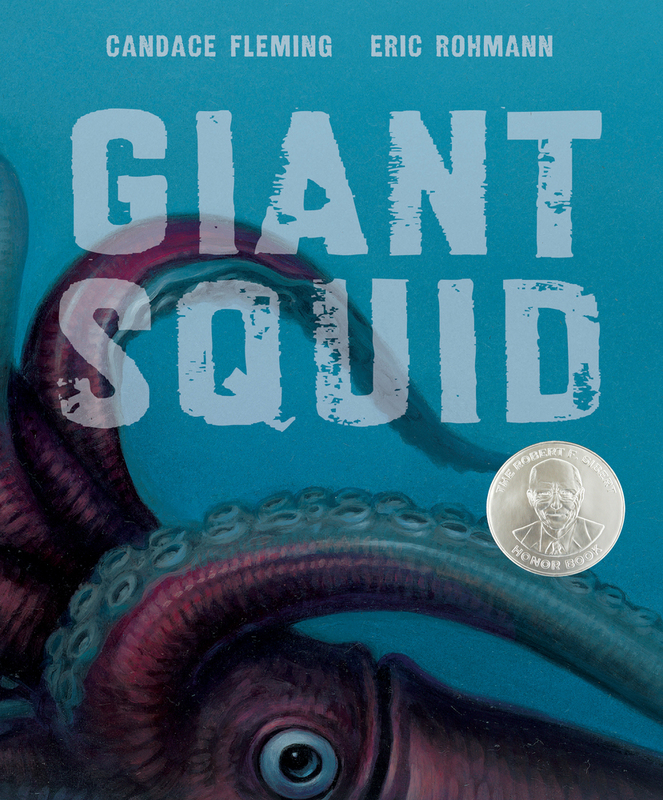 After that, an author’s note, “The Mysterious Giant Squid” gives more scientific information, and there’s a substantial list of print and online resources. 40 pages; grades K-5. Pros: One of my favorite parts of this “job” is learning about topics like the giant squid. It is amazing that so many of these giant creatures have remained elusive for so long. The pictures really capture the feel of their deep undersea home, and the author’s note is fascinating. Cons: Using the last eight pages to illustrate how the squid’s ink helps protect it (including a few mostly black pages) seemed like a little too much.